Adorable, Lovable & Hugable Black Bi female pup! 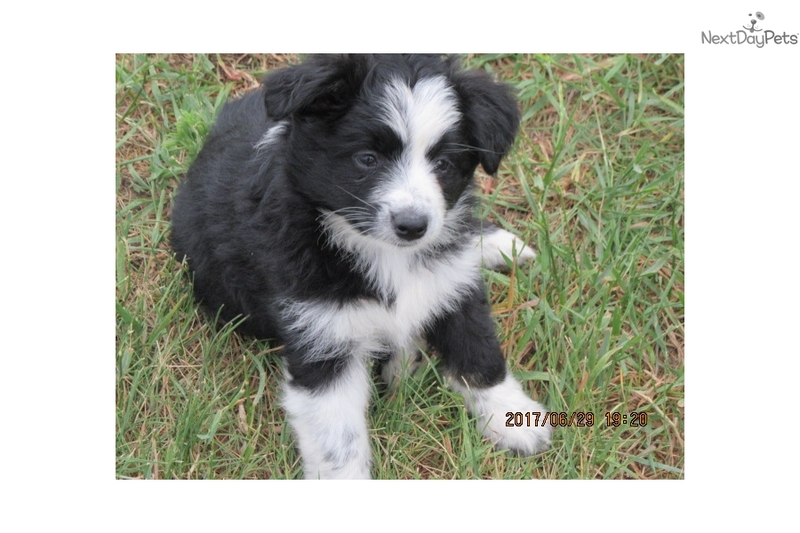 This Miniature Australian Shepherd nicknamed Mandy sold and went to a new family. Mandy is a cute black Bi female looking for a loving home! She is well socialized, healthy and will learn quickly. She learned to use a doggie door in 2 days to go outside potty. She will have ASDR registration application papers, first shot, dewormed appropriately for his age, vet checked & if needing to be shipped a crate will be provided. Shipping is extra and at new owners expense. Please inquire for pricing, more info or more pictures are available on request.